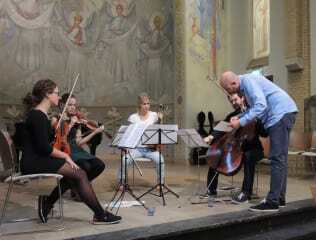 The Zeist Music Days provides two weeks of intensive study and the very best coaching. The masterclasses are open to violin, viola or cello students and graduates from music academies all over the world. Applicants must register as members of an existing ensemble. This year there is also a limited number of places available for ensembles of strings and piano or one other additional instrument. A chance to attend all festival concerts. The Zeist Music Days has been under the inspiring leadership of Alexander Pavlovsky, first violinist of the Jerusalem Quartet, from 2008 until now. Over the years the festival has developed into an event that is attended by tutors and students from all over the world. It offers an excellent opportunity to benefit from the very best coaching in an inspiring, informal atmosphere. Since the first Zeist Music Days in 1990, many famous musicians have given masterclasses at the festival, including: Shmuel Ashkenasi, Rostislav Dubinsky, Valentin Erben, Avri Levitan, Orfeo Mandozzi, Menahem Pressler, Donald Weilerstein, the Borodin Quartet, Cuarteto Casals, the Emerson String Quartet, the Jerusalem Quartet, the Pavel Haas Quartet, Cuarteto Quiroga, the Schumann Quartett, the Szymanowski Quartet, the Vermeer Quartet, Quatuor Ysaÿe, and members of the Amadeus, Guarneri, Juilliard and Pražák Quartets and the Sitkovetsky Trio. 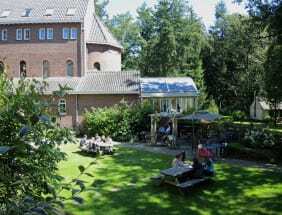 Participants will stay at Kontakt der Kontinenten, a training and conference centre in the wooded surroundings of Soesterberg, not far from Utrecht. Get a first-hand impression of our masterclasses in this 12-minute documentary by Thomas Sykora.